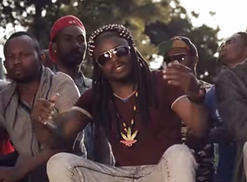 Cameroonian singers Adolf Fayaman and Lion Boy team up on the reggae track, "Good Feelings." The smokey video was shot in Johannesburg, South Africa. Goodness gracious, Lord have mercy! 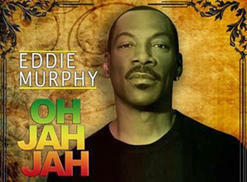 Eddie Murphy goes Rasta with his latest musical track, the bouncy roots number, "Oh Jah Jah." 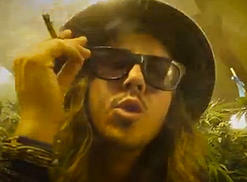 Musical chameleon Cisco Adler has switched gears again with his reggae track, "Free Tree." The video is shot in a grow room bursting with ripe plants. Miley Cyrus joins Snoop Lion on "Ashtrays and Heartbreaks" off his reggae album "Reincarnated." He smokes and sings verses, and she belts out the chorus. 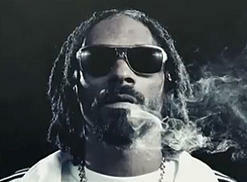 G-Funk meets reggae on Snoop Lion's latest single from his "Reincarnated" album, "Lighters Up." Joining Snoop are Mavado and Popcaan, a virtual Jamaican Dogg Pound.